Want to speed up, clean, improve a battery life and fix your device? AVG offers you a great solution to improve your device's performance with an all-in-one tuning suite for Windows, Android, and macOS. So check it out! AVG TuneUp updates outdated software on your device. It also cleans your device, frees up disk space and speeds up performance. With AVG TuneUp your device will have a longer battery life. In addition, it fixes Windows crashers and cleans up Android and Mac devices. By using AVG TuneUp your old device will live longer and a new one will run faster! It does not matter how old your device is, the more programs and apps you use, the slower the device becomes. AVG created a cure! AVG TuneUP offers its users an entire reboot of its Programs-on-Demand technology. 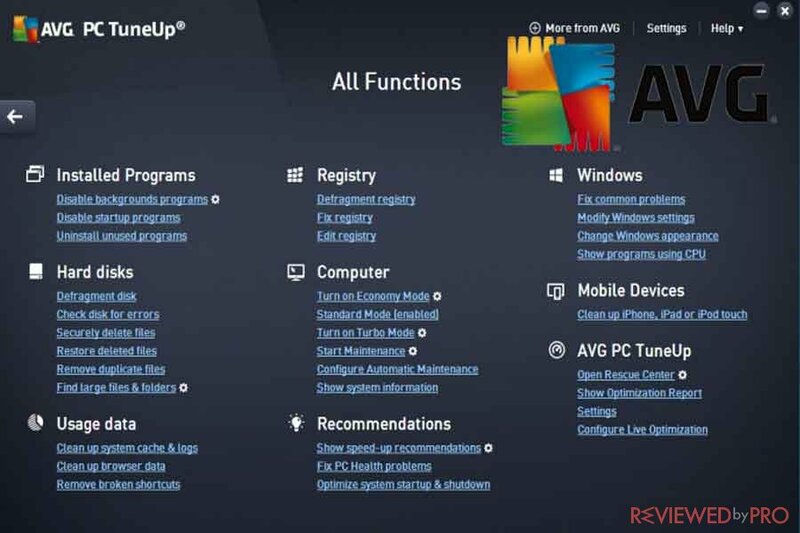 What does AVG TuneUp offer? AVG TuneUp puts draining applications into a smart Sleep Mode, as a result, their impact on operating system’s performance, battery life, storage, and the network is minimized to almost nothing. Researchers at AVG test labs tested the software and perceived impressive results. In just a couple minutes with AVG PC TuneUP, the PC showed faster boot time by 77%, freed up space by 75 GB and extended a battery life by 108%. AVG TuneUp also comes with Software Updater which updates the most popular and widely used applications on the computer in order to fix vulnerabilities, patch security holes and add new features. In addition, old applications usually do not support Windows 10 or new hardware, that makes the computer crash or freeze, also, out of date programs often do not work with modern screens because of their outdated interfaces. Constant updates for applications including Skype, Google Chrome, Adobe Reader, and more. A completely automatic software updater which does not need installation. Full control enables you to manage all updates from one screen. Duplicate Finder which scans the drive and looks for duplicates. It also advises on which files can be deleted. Disk Space Explorer helps users to find large files. Windows 10 and 8.1 App Cleaner. Browser Cleaner solves browser issues. These files include temporary files in Office 2016, Windows 10, iTunes, Ad-ware and more. In addition to freeing up disk space, PC Cleaner helps you to restore the PC’s speed. Turbo Mode – switches off all features that are not necessary in order to get more power. Program Deactivator which puts programs that are unused in sleep mode. Startup Optimizer scans and detects apps that slow the PC. Uninstall Manager detects unused programs and uninstalls them. Drive Defrag speeds up hard drive access. Economy Mode helps to extend battery life by minimizing the power consumption of the processor and power consumed by external and internal devices. It also switches off processes that are not necessary. AVG TuneUP provides users with features that help PC’s performance. Registry Cleaner cleans the registry. Registry Defrag recognizes the registry and eliminates issues in the database. Disk Doctor detects and solves hard drive issues. Shortcut cleaner de-cutters the desktop. AVG TuneUp works automatically and offers a set of features that allows you to set and forget about manually updates. Automatic Software updater detects and updates outdated applications. Live Optimization feature optimizes PC’s processes. Automatic Cleaning Updates updates for optimum cleaning. Automatic Start-Stop Mode reactivates applications. Update Wizard that keeps the TuneUp updated. Optimization status notifies about the device’s health. AVG TuneUp gives you more control and includes a set of features that help you to optimize your computer. Repair wizard detects the fixes. Rescue Center provides you with everything you need in order to reverse changes. Performance Report gives you performance-boosting advice. System Info finds and renews bandwidth-hungry programs. File Shredder that safely removes data in order to prevent file snooping. Undelete feature rescues accidentally deleted programs and files. Styler feature personalizes the user interface and the look of Windows. 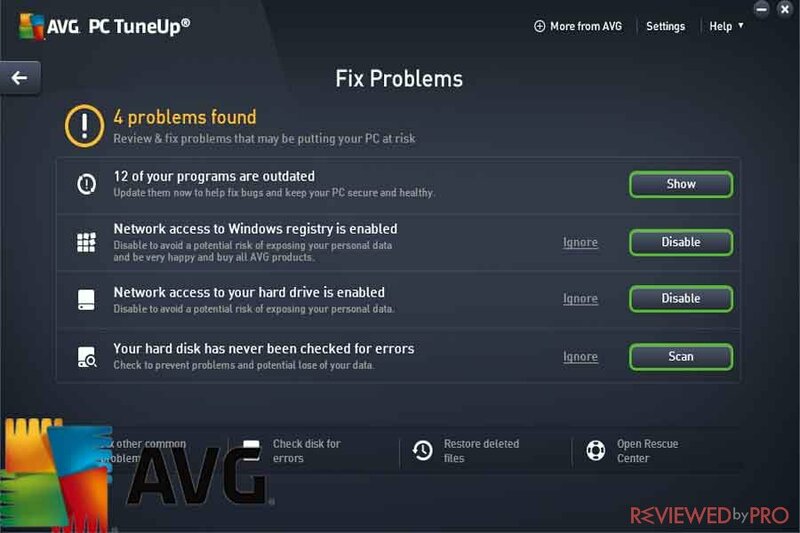 AVG TuneUp Fix Problems center offers 24/7 customer support for your PC that helps to fix and prevent issues with a hard disk, programs, operating system and more. AVG TuneUp also enables you to install AVG Cleaner PRO on Android devices. It will remove hidden junk files, duplicates and more. AVG also offers AVG Cleaner for your Mac in order to keep it fast, safe and clean. AVG TuneUp –Unlimited that tune and clean up all your devices is $49.99 per year. You can also try AVG TuneUp trial for free. An Android device that runs Android 2.2 or later. AVG Technologies is a security software provider based in the Czech Republic and the Netherlands. The company was founded in 1991 and today offers one of the widest security software assortment in the market for both, individuals and businesses. The company develops antivirus software and internet security services. Since 2016 AVG is subsidiary of Avast Software. AVG offers free and paid security, performance and privacy solutions and services for PC, Mac and Android devices that include AVG AntiVirus, AVG TuneUp, AVG Internet Security, AVG Express Install and more. ^ AVG TuneUp - Unlimited Speed up, clean up & fix all your devices. AVG. 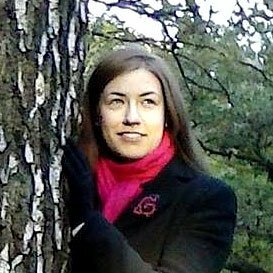 This entry was posted on 2018-01-02 at 00:51 and is filed under News.